ATTEND ONE OF OUR SEMINARS LEARN HOW TO BRING "YOUR TOP SECRET RECIPE"
"HOW TO START YOUR OWN FOOD BUSINESS - A Step-By-Step Course"
Q) How will I know that my recipe won't be stolen? We give you a complete Nondisclosure Agreement before we seek information about your secret recipe. After you sign the agreement, the only people who will review your information are FTC consultants and our affiliates in charge of the analysis and/or batch quotes. We don't keep your recipe in our database. Six months after your project has been completed, we destroy all sensitive information about your recipe. Q) How much does it cost to start commercial production of my recipe? The cost depends on the recipe. For example, a recipe that requires a dry rub with inexpensive ingredients will be more affordable than a recipe with many ingredients and requires cooking. In addition, foods that require cold storage have higher overhead costs than foods that can be stored at room temperature. Food Trade Consultants recommends a conservative route: start with producing small amounts of your recipe and restock as your sales increase. The same conservative route should be taken when choosing your packaging, labels, and when you budget your general administrative costs. 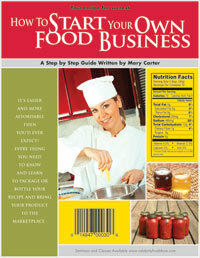 Q) How does your company reduce the process of starting a food business? Food Trade Consultants utilizes a network of certified food industry professionals to shortcut the transformation of your product into a manufacturer's formula. We also help produce your Nutritional Facts & Ingredients Statements, Shelf Life Testing, and more. Our network of affiliates offers thorough food analysis and documentation at low rates but the final amount depends on the recipe. Your FTC consultant will provide you with more information about the analysis and the specific timeframe required for your recipe. 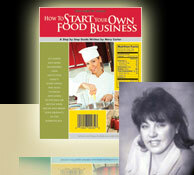 Q) Is there a difference if I want to sell to restaurants instead of grocery stores? The majority of the analysis and information required by the FDA applies to restaurants and grocery stores. In order to be sold to the public, your product has to be created in a commercially viable, FDA-approved manner within federal and state food safety laws. 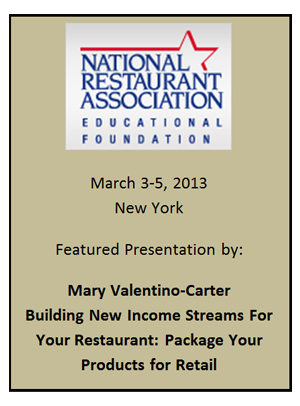 In order to sell to the food service industry (caterers, delis, restaurants, etc.) you might be required to have liability insurance, which is affordable. Some restaurant and hotel chains might also want to inspect your facility before they issue such insurance. The food service industry is attractive because they usually buy larger amounts of a product and compared to retail sale in stores or online, the container/labeling costs are usually lower. Q) Is it required to get a UPC code? YES, UPC codes are not optional. A barcode is a must-have in the food industry, and you will need more than one barcode. This is true whether you sell to retailers or restaurants. Some stores require two or three barcodes for each product: one for the unit that shows up on the product label, one for a case purchase, and possibly a third one for a pallet size purchase. UPC codes are used by wholesale customers to track products and generate payments. 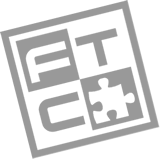 Your FTC can help you with your UPC codes, free of charge. Q) What is my first step? Referred to as "setting your recipe," the first step is to write down your recipe. Regardless of your product, every single part of your recipe must be weighed and documented. In order to accomplish this goal, we recommend investing in a digital scale. Weight everything in grams, and list each ingredient with the gram weight next to it. Next, write down the steps you take to create the recipe. This includes cooking times, intervals for adding ingredients, setting times, and everything else you can think of. Once you have set your recipe, you're ready to go. Food Trade Consultants will give you a Service Agreement and a Nondisclosure Agreement before we accept any information from you. FAQ | About Us | Testimonials | Seminar | Contact | Link To Us | ORDER NOW! 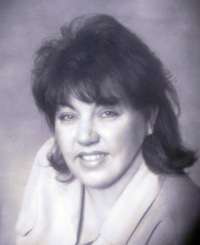 Copyright © 2003-2009 FoodTradeConsultants, All rights reserved.